Flies are responsible for skin irritations and stress in livestock. Garlic is an effective, all-natural aid to repelling insects. 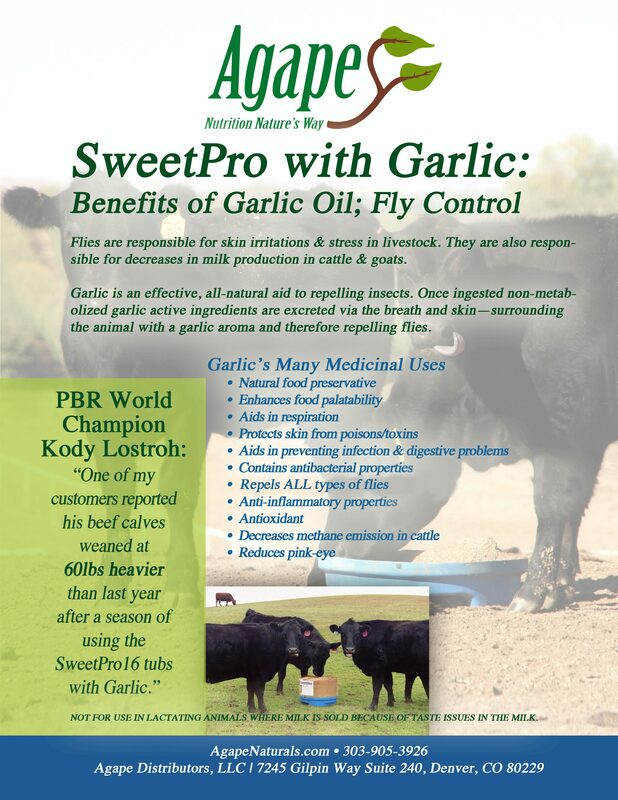 Once ingested, non metabolized garlic active ingredients are excreted via the breath and skin–repelling flies. Garlic is a natural food preservative, enhances food palatability, aids in respiration, protects skin from toxins, aids in preventing infection, contains antibacterial properties, repels all types of flies, is anti-inflammatory, antioxidant, decreases methane emission in cattle and reduces pink eye.